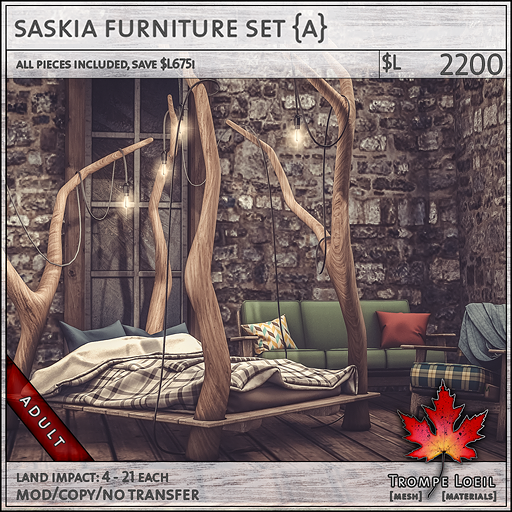 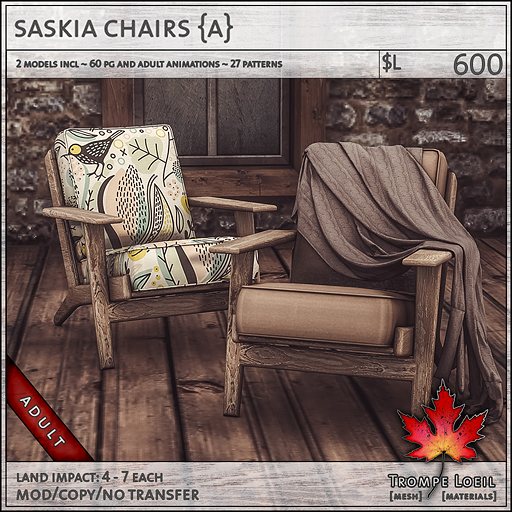 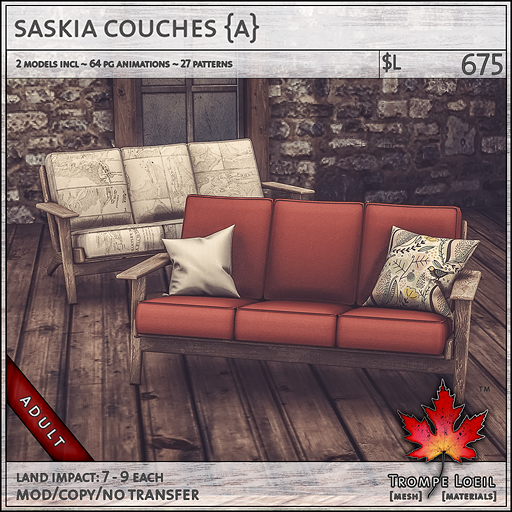 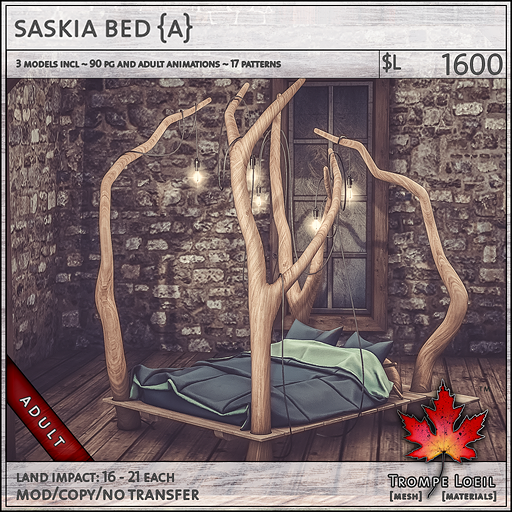 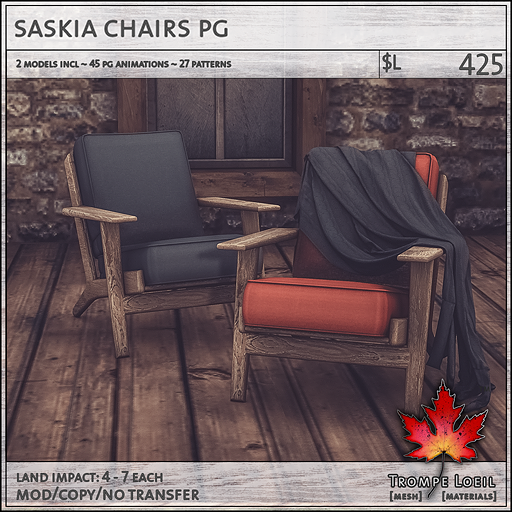 A little rustic, a little polished, a little Scandinavian – the Saskia Furniture Set for FaMESHed November are statement pieces to show off! 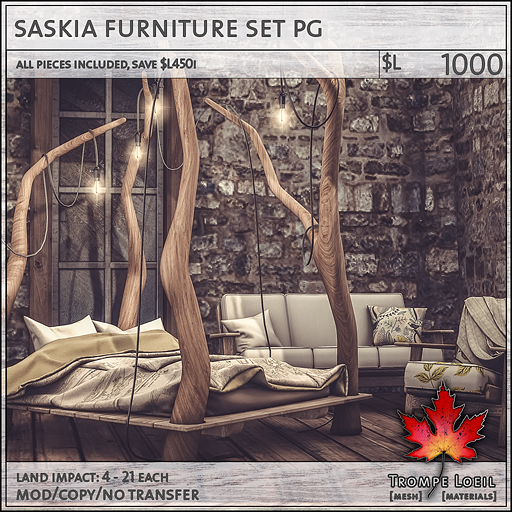 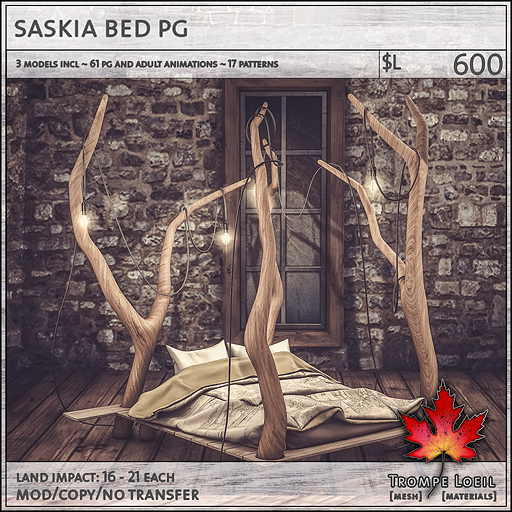 The centerpiece of the Saskia set is the Saskia Bed – framed in raw driftwood, this platform-style bed includes three models (plain, dangling lights with individual on/off function on touch, and always-on stringlights with a delicate glow) and tons of fabric colors and patterns for pillows, blanket, and mattress. 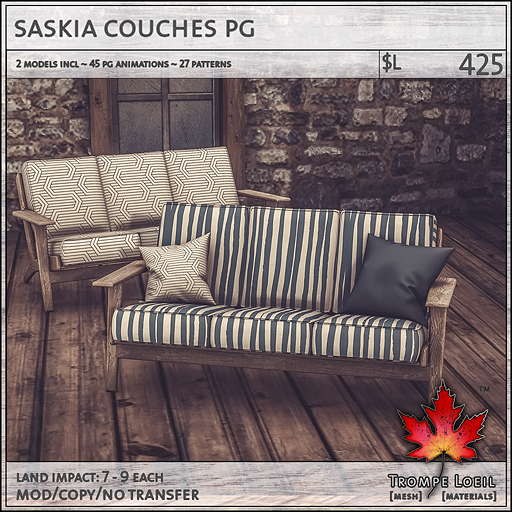 The matching Saskia Chair and Couch include two models each (plain and with blanket or pillows) and matching fabric options to make a complete, coordinated look. 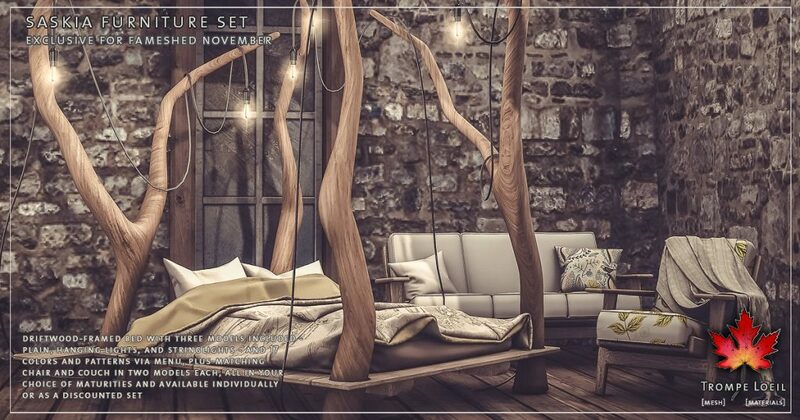 All items come in your choice of maturities and are available individually or as a set for big savings! 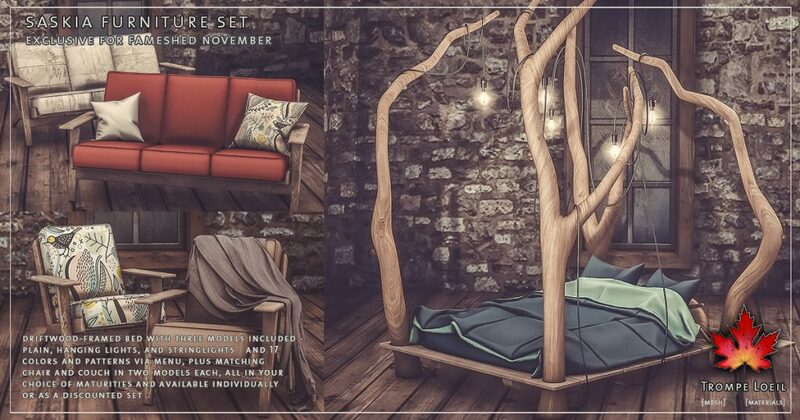 Only at November’s FaMESHed round!